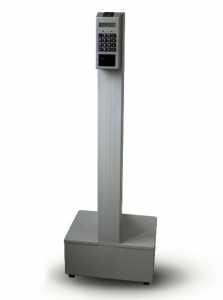 The FireFly Stand Alone Portable Time and Access Terminal with built in Messaging Display, Keypad and RFID Card functionality. -Red, Yellow and Green indicator lamps. -Fingerprint Identification for 500 users.